Pretty impressive. 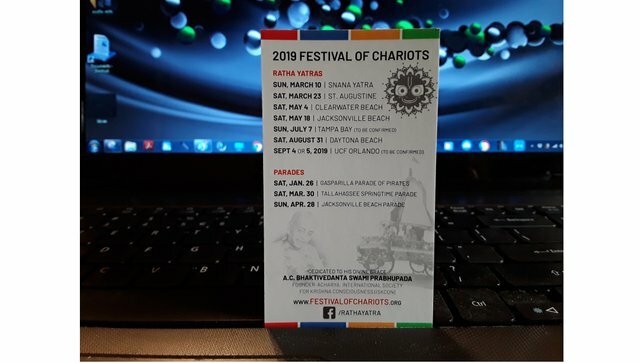 This is a list of the Ratha Yatras to be performed in Florida over the next few months. And a list of street festival parades the Ratha Cart and Deities will take part in.